Finding a place to live in Panama’s interior is very different from what you’re probably used to in the US, Canada or Europe. In those places, whether you’re renting or buying, there are agencies you can visit and professionals who can help. While you’ll find some of those options in Panama City, when you get to the country’s interior the real estate market is pretty disorganized. Finding a place to live can be challenging, but it is possible. You just have to be willing to do a lot of legwork yourself. If you own back in your home country, you may sell before you move, or you may decide to keep the property as an investment. Because the real estate market in Orlando was still very depressed when we moved, we decided to rent. Here are some of the questions readers have asked recently. Did you empty out your house in the US and rent it to someone; in that case, do you have a management company? Yes, that’s exactly what we did. I wrote about our process in detail in the Countdown! series of pasts last year. In a nutshell, though, we sold as much as we could through Craigslist and eBay, held garage sales, and utlimately had a company come in and get rid of everything else through an estate sale. We also gave away bags and bags of used clothing and household items to Goodwill, donated dozens of boxes of books to our local public library, and had Habitat for Humanity come with their truck to pick up some large items for their store. The (very) few things we kept are stored at a relative’s house. We found a good property management company, and they located a tenant for us. They collect the rent every month, handle needed repairs and take care of other details for us. It’s an arrangement which has worked very well. Did you actually buy a place in Panama; we were recently in Cuba where an Italian Canadian told me that they sought to buy a small apartment on an island down near Sicily where his wife’s family were located, and that the cost would be approximately $30k Canadian. No, we’ve not bought in Panama and have no intentions to do so any time soon. Why? We’ve decided we want to try out a different part of the country. We’ve renewed our lease for another year, and during that time we’ll look around. Next year, we’ll find something to rent somewhere else. 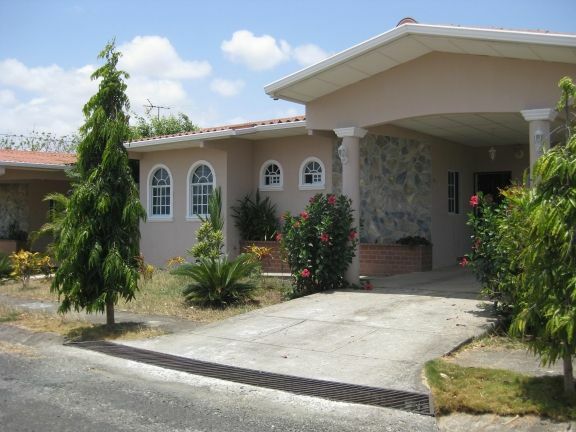 Affordable place to rent in Las Tablas for a couple weeks? Finding a short-term rental in Las Tablas can be a bit challenging. If you want to be at Uverito Beach, there are several properties which rent by the day, week or month. You can usually find them in the Panama Craigslist. Another place to look is Encuentra24. 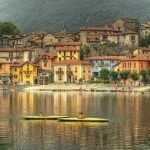 How to find a reasonably priced ($500 and preferably less) and QUIET apartment in a foreign country. One that is soundproofed from the neighbors and outside noises. That will depend on the country. If it has an organized real estate market, you can find property managers online. If it doesn’t, your best bet is to get yourself there and start scouring the local classified ads, looking for signs, and talking to local people. We’re bringing three dogs and a cat with us. How will we find a place to live? We chose to move in stages. I came first, and spent several weeks finding a house to rent. After I had the house, my husband and the dogs joined me. If that’s not an option for you, you’re in for a harder time. That’s because there are very few pet-friendly hotels in Panama. There’s a boarding kennel in Panama City, near the airport, that’s been recommended to me. (I’ve never used it.) Placing your pets there would give you some time to explore without having to look for the rare pet-friendly hotel. If you already know the town or city where you want to live, go online to see if you can find a one-month rental that will let you bring the pets. Even if it’s expensive, it’ll give you a place to stay short-term. Panama Craigslist and Encuentra 24 are popular online classifieds. Thank you for the article. I just found your website and facebook page today. We’re moving to Santa Fe, Panama in January. We will be renting there, hopefully, a year before building. 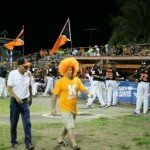 Do you know of any reputable builders in Panama? Sorry, I don’t have any contacts in the Santa Fe area. It’s on my list to visit, but I haven’t made it there yet. You may want to contact Kevin, owner of Casa Mariposa, an inn in Santa Fe. He often blogs about local real estate. http://casamariposasantafe.wordpress.com/ Some day I hope I can visit Santa Fe myself! Kathy, thanks for the tip! Buenas noches Michael, Permit me to introduce myself. My name is BJ Sweitzer. My daughter and I are coming down in Juily for a look see at the country, I just now started investigating the Santa Fe area to see if I want to have a construction company down there. Whether I do build or simply move and build my own house, I would be very happy to answer any questions you may have. I have been building in Mexico for over a decade. Just fyi….. have a good evening. Your posts are always filled with helpful and useful information. I really appreciate them and look forward to reading them. Thank you. Thanks for the tips everyone. When we visited Santa Fe in March, we stayed at Casa Mariposa–a WONDERFUL PLACE! I have made a note to follow up with Kevin once we settle in come January. He and the others I met there were all very friendly and willing to answer questions. 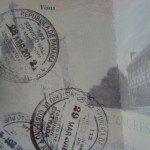 Leaving the Country – is it Worth the Hassle?